Billboard by RSDU – Turn a phone or tablet into an in-flight LCD display. Have an old smartphone lying around? 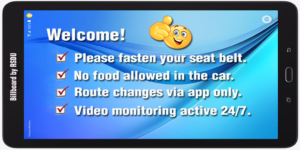 Why not turn it into an in-flight LCD display, using Billboard-by-RSDU. Billboard-by RSDU can help you promote your other services or business to your riders while you are driving them to their destination. Billboard-by-RSDU enables you to turn a smartphone or tablet into a billboard type slideshow capable of displaying text messages and images of your choice. 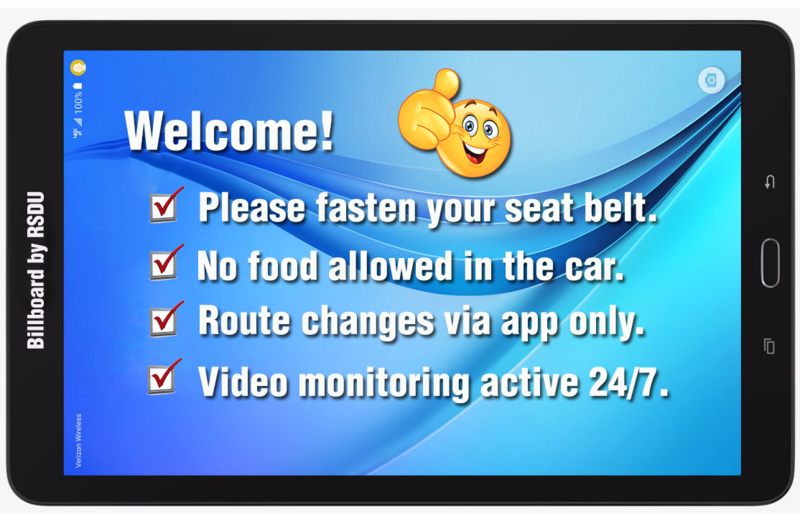 You can use Billboard-by-RSDU in your car to display messages to your passengers or at any other place where you would like to display a slideshow type message(s), text or/and images using just a smartphone or a tablet. The app is easy to set up and offer two screens to display, the first screen display text, the second screen is an image slideshow. Text styling can be done using HTML tags. 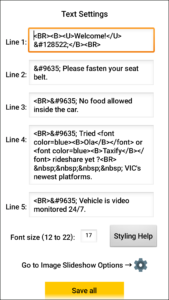 Visit the app help file for more information on how to style your messages using HTML tags. Billboard-by-RSDU is currently available on the Android platform and cost $1.99 to download. 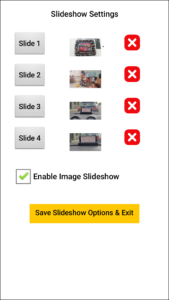 Proceeds from the sales of this app help supports our driver advocacy activities.